Easter is coming up this weekend, and Hong Kong’s best brunches are just a hop, skip and a jump away. If you haven’t yet got your reservations in, here are six places to snag those last-minute bookings for fun-filled Easter feasting and festivities for the whole family. 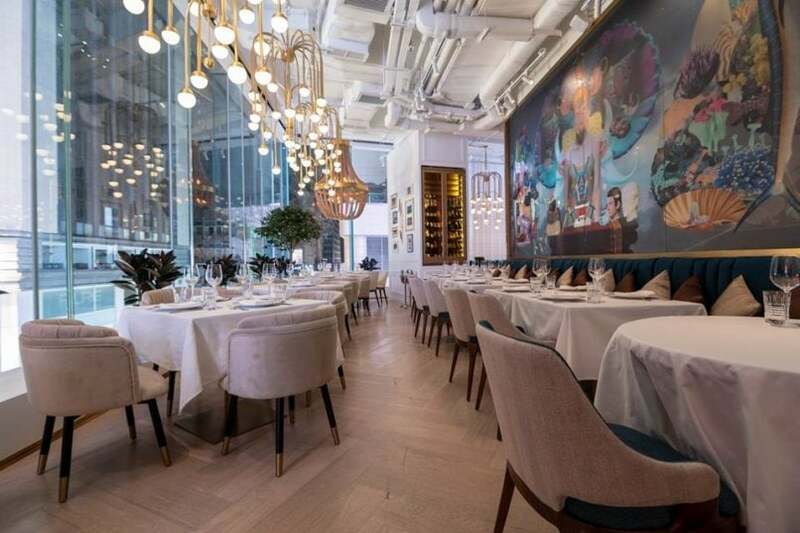 Fun-filled Easter activities await at InterContinental Grand Stanford Hong Kong, where Theo Mistral by Theo Randall is cooking up an Italian-themed Sunday brunch. The elegant Easter spread starts with a sumptuous seafood buffet, from freshly shucked oysters to chilled lobster claws and meaty crab legs. 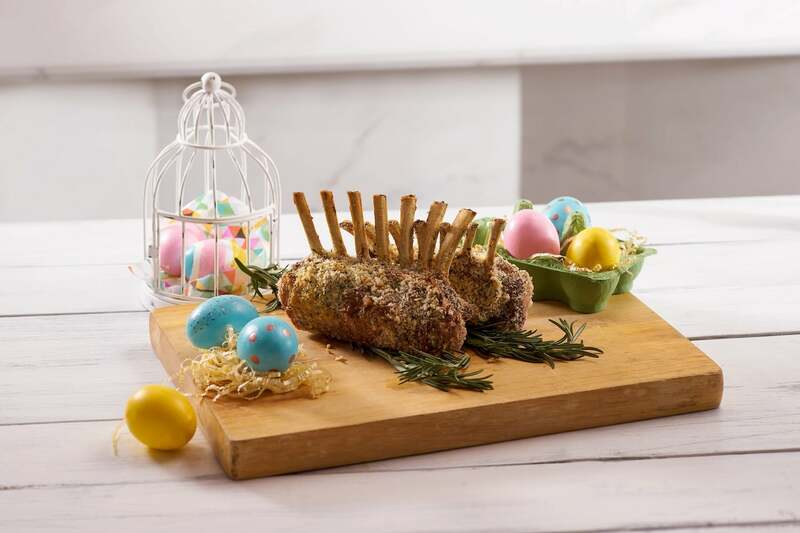 A selection of Easter specialties includes pan-fried artichokes and potatoes and a decadent roast lamb, followed by a spread of indulgent desserts. The family-friendly celebration caps off with clown performances, balloon twisting and DIY Easter baskets filled with chocolate eggs for the kids. 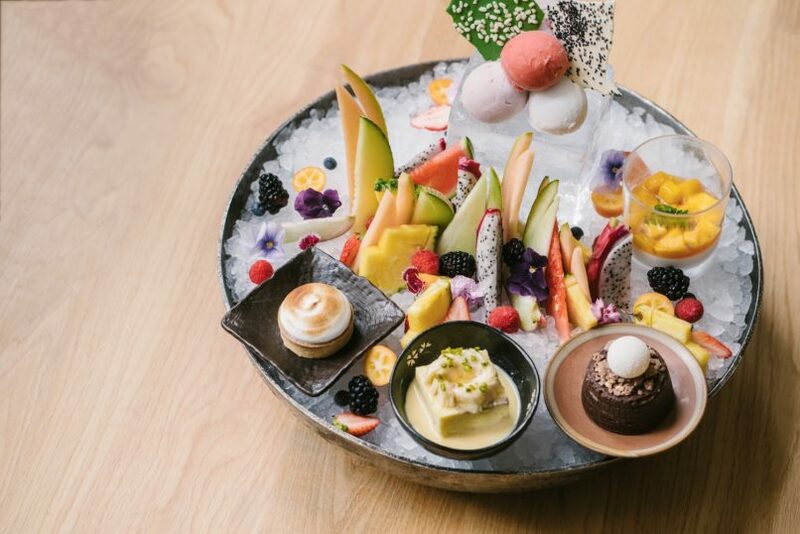 One of the city’s most popular brunch destinations, Zuma Hong Kong puts a spin on its Baikingu brunch with contemporary twists on classic Japanese izakaya fare, plus a few special Easter treats. On Easter Sunday, head to the stylish two-storey restaurant for a taste of its seasonal dishes made with premium imported ingredients. Capped off with the deluxe dessert platter, guests can enjoy special Easter-themed desserts including an organic flourless Valrhona chocoalte cake with rice crackers and mascarpone ice cream, and mango and coconut custard chawanmushi with passion fruit; while adults enjoy the free-flow of Ruinart Champagne, sake, wine and beer. Brunch seating will be extended to 2.5 hours on 20–21 April; while Easter Sunday sees the brunch extended to the 6th Floor Bar & Lounge with live beats by resident DJ Daniel Heller. 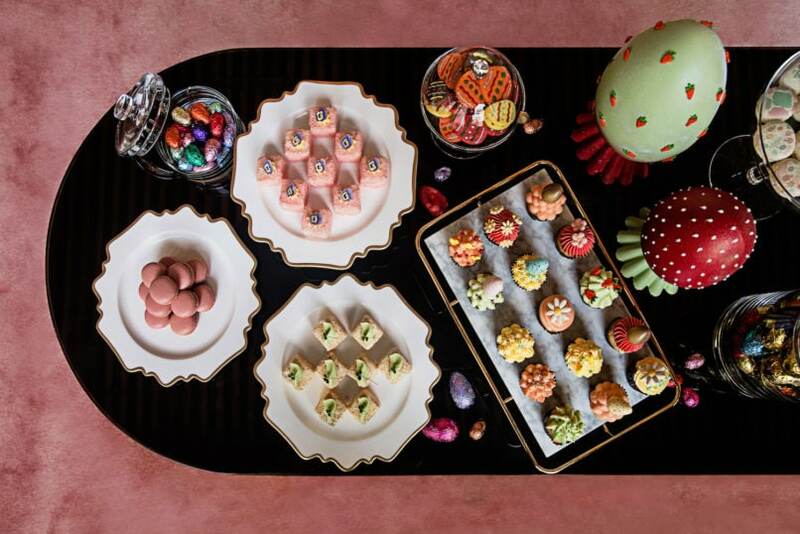 All-day dining restaurant The Astor invites families in for a spectacular Easter celebration inside the newly revamped Eaton Hong Kong, with holiday celebrations running from 19–22 April. A sensational spread of Easter favourites starts with savoury items such as bourbon-glazed ham and baked pineapple; baked sea bream with garlic, oregano and white wine; and Greek-roasted lamb with all the trimmings. Vegetarians are well catered for with whole roasted cauliflower with caper dressing. 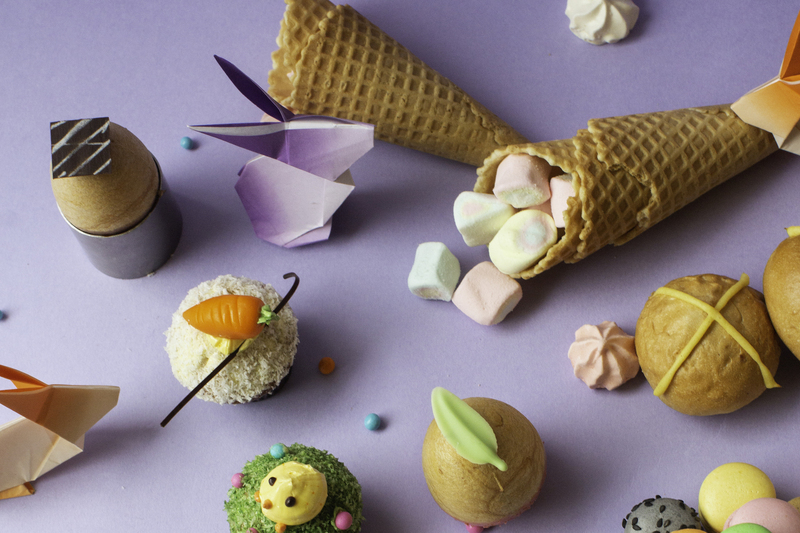 Kids are sure to go wild for the Easter dessert buffet, from egg-shaped chocolate mousses to Easter macarons, hot cross buns and roast carrot & walnut cake nodding to the spirit of the holidays. To top it off, family-friendly activities include a cupcake workshop for kids, and a stamp card encouraging a visit to the array of live cooking stations to collect special stickers. At the end of the day, kids can take home a fabulous Easter gift bag full of games and treats, while a photo booth allows the whole troupe to capture a festive memory together. Commemorating the holiday, The Tai Pan’s Eggstravagant Brunch is a crave-worthy affair of culinary delights, from fresh salads and artisanal cheeses to BBQ meats and seafood. Kick off the tantalising spread with cold cuts and jet-fresh seafood, including freshly shucked plump Takanobu oysters. 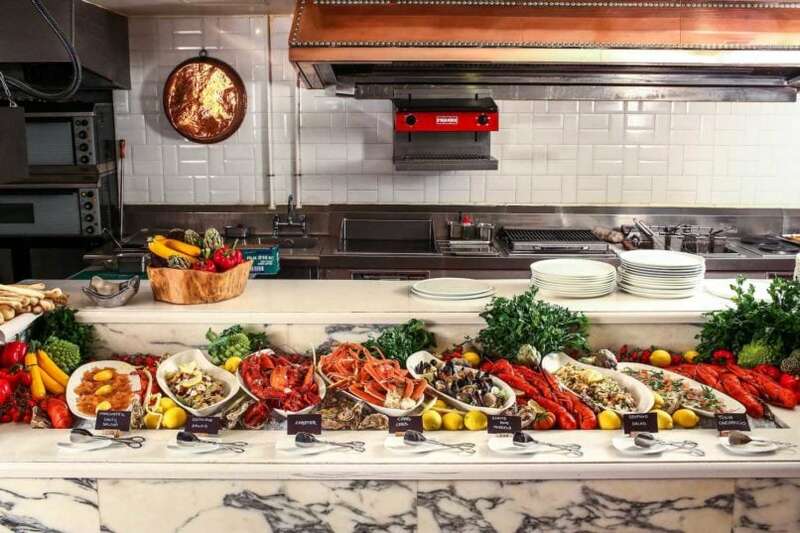 Then dive into the different semi-buffet stations, from the roast carvery station to grilled seafood. A selection of mains gets served at the table, including a melt-worthy braised lamb shank, classic coq au vin and Japanese clams. Meanwhile, juniors can look forward to a kids’ menu and fun games including magician performances, balloon twisting, face painting and an Easter egg hunt. An exciting Easter egg hunt awaits on Lantau at Bathers this weekend. Step out for a day on the sand at Lower Cheung Sha Beach, and get your buckets ready to search for colourful eggs during the annual Easter Egg Hunt. A buffet lunch and sunset dinner round out the full day of Good Friday festivities, with the Egg Hunt taking place twice at 11am and at 5pm. Families can enjoy the Easter Egg Hunt with the lunch buffet or sunset dinner, both of which include an appetiser buffet spread, main course, and juice or soft drink for kids plus glass of wine and dessert for adults. 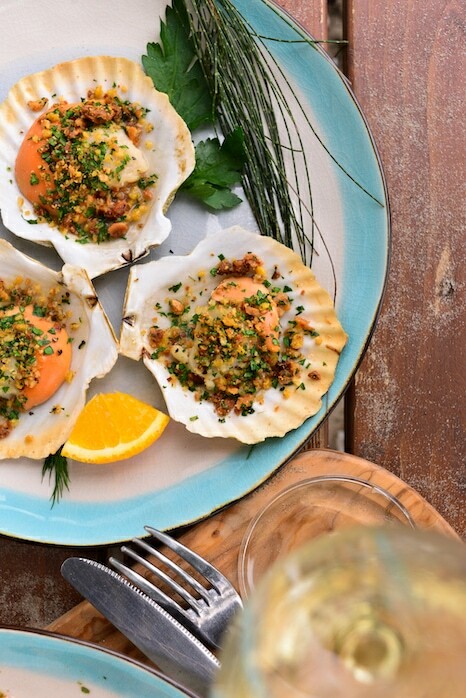 Tuck into Bathers’ spread of fresh seafood, from grilled scallops on the shell to a sumptuous prawn salad, smoked salmon and grilled fish with fennel. Kids under 3 can join the egg hunt for HK$100 with an adult, with special gifts and games on the beach included. Advance bookings required, with three groups limited to 18 to 20 children for each hunt. Modern Greek restaurant Estiatorio Keia is launching its brunch offering just in time for Easter, with the 4-day weekend allowing diners plenty of opportunity to sample the sumptuous spread of Greek specialty dishes and festive Easter treats. The semi-buffet brunch includes a range of pita and spreads, fresh salads, oysters, grilled seafood, ceviche and more; while guests can choose from slow-roasted chicken, grilled sea bass and seafood bucatini for the mains. On 28 April, a special classic Greek Orthodox Easter also highlights traditions such as “Easter Bread” Tsoureki and red eggs, and a sumptuous roasted BBQ lamb as the pièce de résistance. On all days, chocolate Easter eggs cap off the elegant desserts by pastry chef, Marinos Kosmas. To enhance the leisurely weekend vibes, the Sunday brunch also features a DJ and live music.